Teams will be based on grade level, provided that current age eligibility requirements are met. Waivers for age eligible players to play down can be requested following MBYLL's waiver process. A waiver is required from the league, not the local town program. All waiver requests must include accurate details regarding date of birth, height, weight and level of experience. They must be submitted by February 1st prior to the start of the spring season to the chair of your regional competition committee. Age Certification - All teams must submit a roster with name, grade and date of birth to the designated regional director at least one month prior to the beginning of the season. III) Any 9th grader who meets all the above requirements MUST apply for a waiver to be eligible to play. 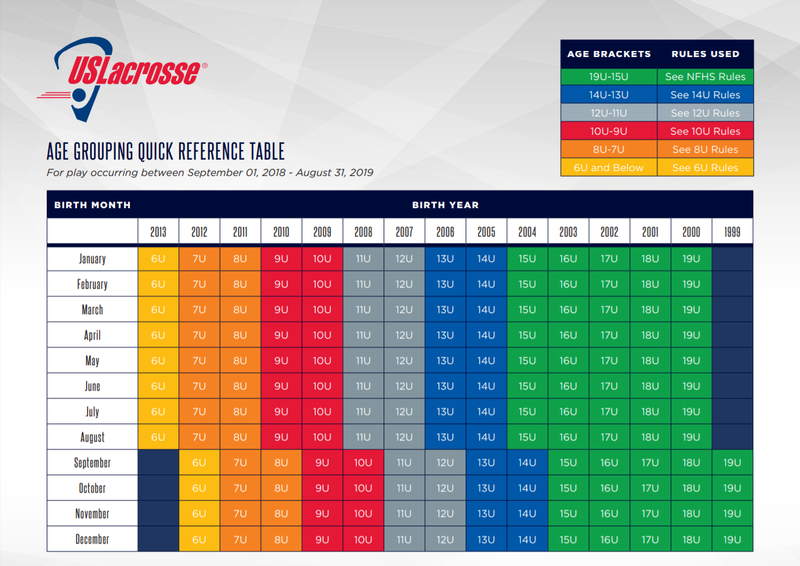 Waivers for 9th graders are only for MBYLL town programs in their first three years of existence as a program. Any player who wishes to participate in Massachusetts Bay Youth Lacrosse League (MBYLL) is required to play in his resident town program if that town has a program and it is not at full capacity. If there is not a town program in that players resident town or his resident town program is full then he will be allowed to sign-up in a neighboring town (with a written waiver from his home town if they are full) in order to play. The rule of thumb is that the town should be an adjacent one. For clarification, the resident town program for a divorced family allows the boy to play in either town where their parents live. Players who go to school in a town they do not live in are eligible to play in the town where they go to school only if they are registered and play in the classic program. This rule is not eligible for waivers, as it is in the best interests of the boy and the program to grow the resident town programs and not allow regionalization or recruiting of players across program borders.